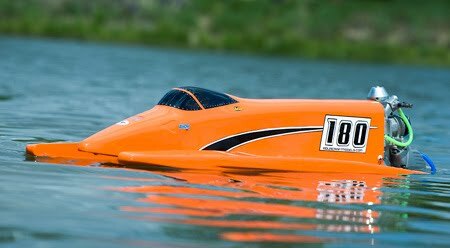 The Aquacraft TS3 ARR outboard tunnel boat will be released in the autum (in the US) and most likely late fall here in europe. It will be sold as an ARR boat as was the earlier TS2 from them so neither an outboard engine or radio gear is included. Here is Jerry Dunlap's TS3 prototype at an earlier race in the US.